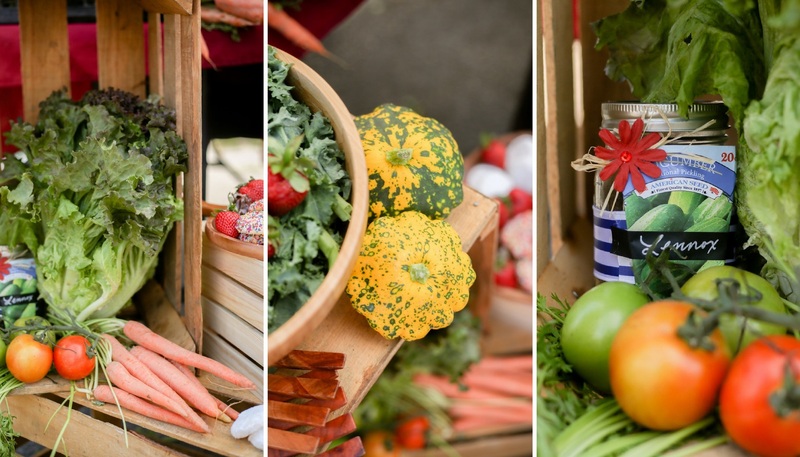 Farmers markets provide not only boundless produce, but fresh and colorful inspiration for a Farm to Table Dinner Party! The natural textures and colors all around mean that most of the decorating is done for you. 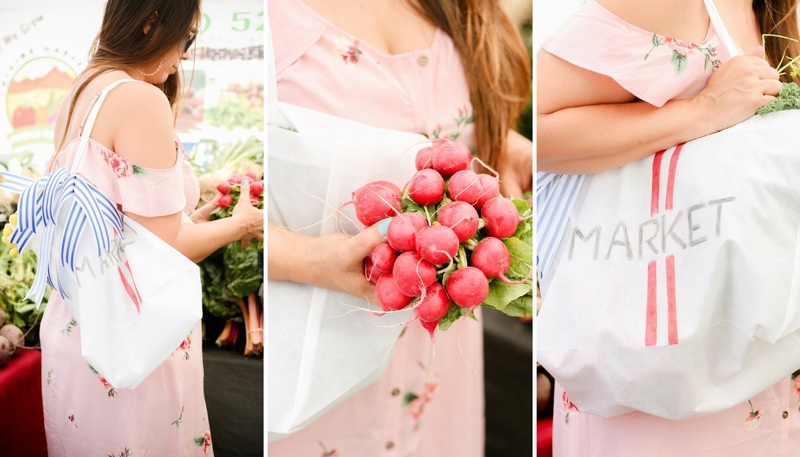 A DIY market tote and a pretty parasol upgraded with Expo International trims are the perfect accessories as you gather the vibrant plants and delectable local treasures to create your dinner party. 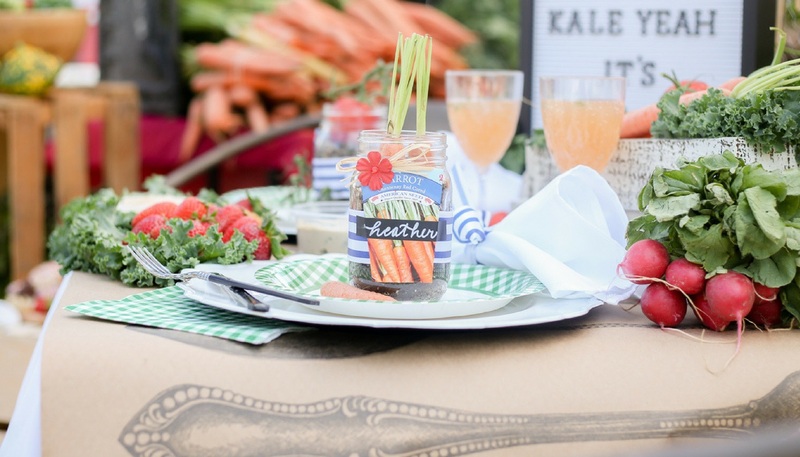 What better way to greet your guests than with a farm-centered place card? 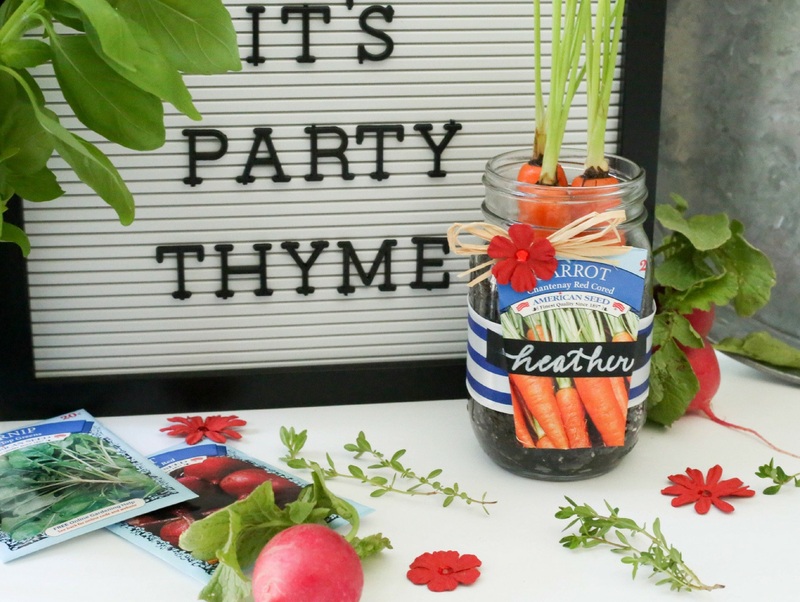 These DIY Seed Packet Mason Jar Place Cards are both unique and a fun favor! 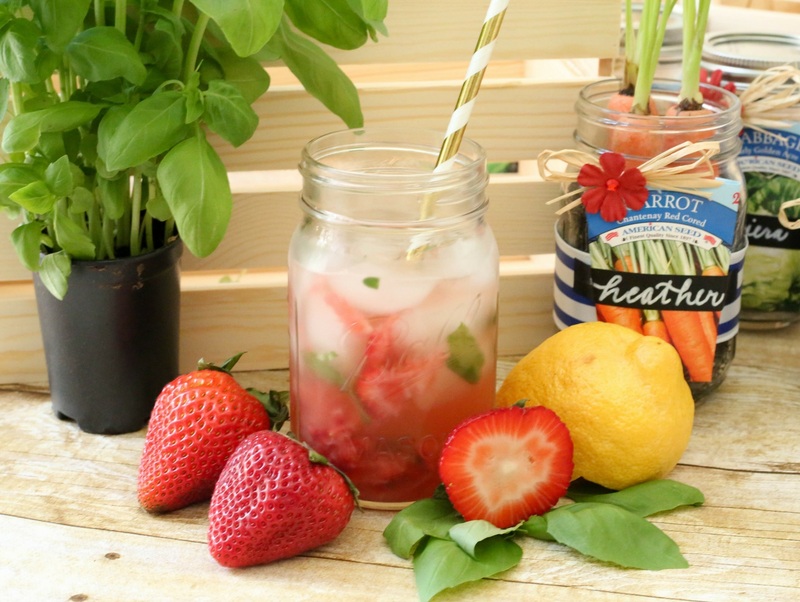 Celebrate the fresh produce of the farmers market with a custom craft cocktail like the Strawberry Basil Gimlet. It’s berry sweet and full of flavor! Take advantage of the amazing finds all around you and get inspired to create your own Farm to Table Dinner Party!